As yoga teachers, coaches, healers or spiritual business owners, it is important to allocate our working time productively in order to maximize our potential. 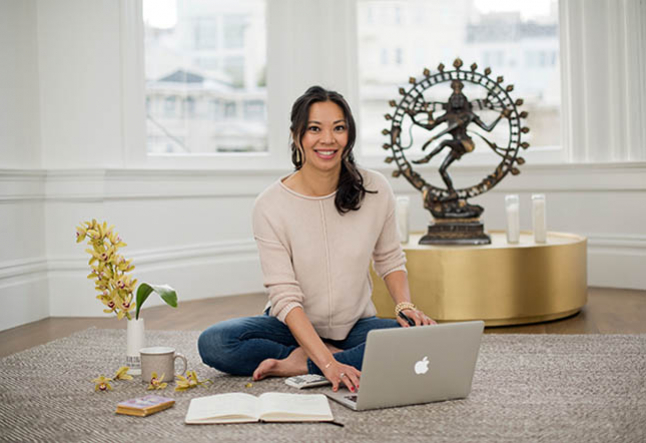 Destinee Berman, one of our favorite spiritual business coaches at YOGI TIMES UNIVERSITY, is sharing three simple yet fundamental insights to automate and optimize your time through technology for day-to-day business tasks. Destinee is the coach behind the online success of Ashley Turner, Sianna Sherman and other spiritual leaders. Now it's your turn to access Destinee’s advice and learn ways to launch online successfully. In the video below, you'll learn how to transform you manual client bookings into an online scheduling system. This simple solution will manage and build a solid database of clients who have access to booking and amending sessions online, 24/7. Scheduling and accessing appointments through a virtual calendar not only frees up your valuable time, but also helps drive traffic to your website. Clients can share your custom weblink online, meaning automated bookings can become a useful digital marketing tool as well. Destinee also explains how to build better connections with clients through automated emails. Email automation is a tool that can bring you closer to your consumers if you follow Destinee's tips. After a client books your services online, an automated system can add them to a mailing list. From here, they can receive a series of trigger emails, providing them with everything they require – from welcome and thank you emails, booking confirmations, to reminders about booking future sessions. Lastly, you can follow Destinee's expert advice when it comes to maximizing revenue by enabling online payments and payment plans. Organizing online payments for your business may seem time-consuming, however the benefits make this a worthwhile technique. Accepting payments online can improve your book-keeping as it can create invoices, help you to pay bills and allow you to easily share your business database with your accountant. Furthermore, it is also the most streamlined method for clients paying with credit cards. With strict legislation for companies storing personal data, digital technology for bank details or PayPal can take the headache out of ensuring your business is staying compliant. Become comfortable with technology and allow it to set a foundation for your business. The time saved with these tips can help maximize your revenue and productivity by enabling you to invest in the more important aspects of your business. This is a free online training for healing professionals, life coaches and transformational experts. You’ll walk away from this workshop with a step-by-step roadmap to grow your reach, fill your programs and scale your income + impact for good.